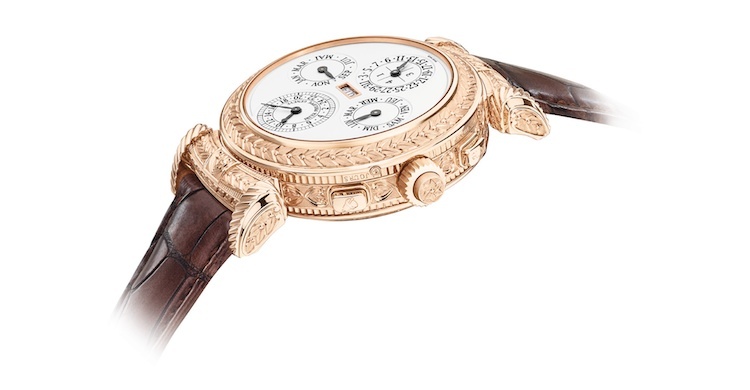 Leading up to Patek Philippe’s 175th anniversary, speculation and anticipation were running wild in watch enthusiast circles around the globe. And the recurring theme rising to the forefront of the collective Patek devotee’s imagination was that of a grande sonnerie. A grande sonnerie is a watch that features a minute repeater but is also able to strike the time in passing. In grande sonnerie mode, it strikes the hours and the quarters at each quarter; and in petite sonnerie mode, it strikes just the quarters. In both modes, it strikes the hours upon the hours. 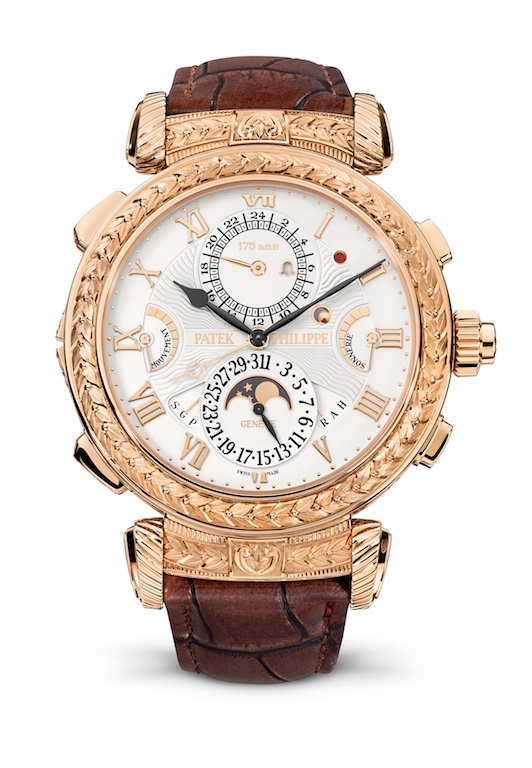 This type of watch has been notably absent from Patek Philippe’s repertoire of horological achievements — an absence that is particularly conspicuous since the brand is often considered to make the world’s best-sounding striking watches. 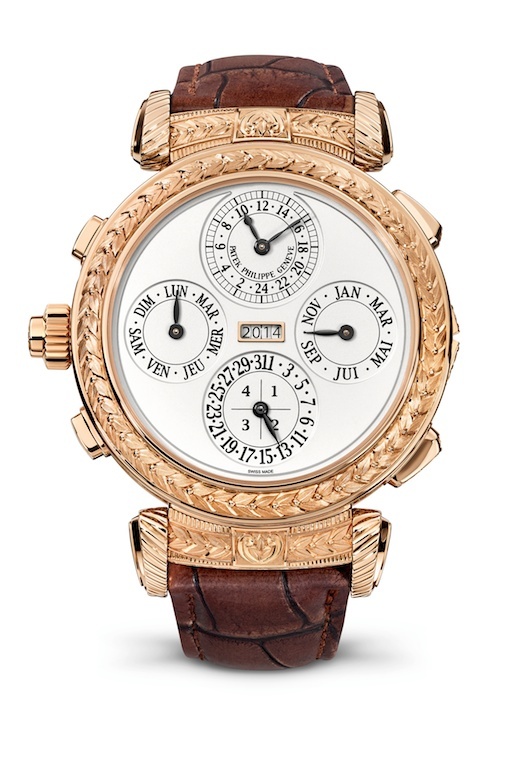 Behold, just launched for Patek’s anniversary, the reference 5171 — a grande sonnerie watch that surpassed even our loftiest expectations, in terms of the sheer imaginativeness, functionalism and beauty of its execution, and is moreover in a single watch a combination of all major striking complications as well as an unprecedented date striking complication –all in a reversible case allowing either the ‘time side’ or ‘calendar side’ displays to be shown at will. 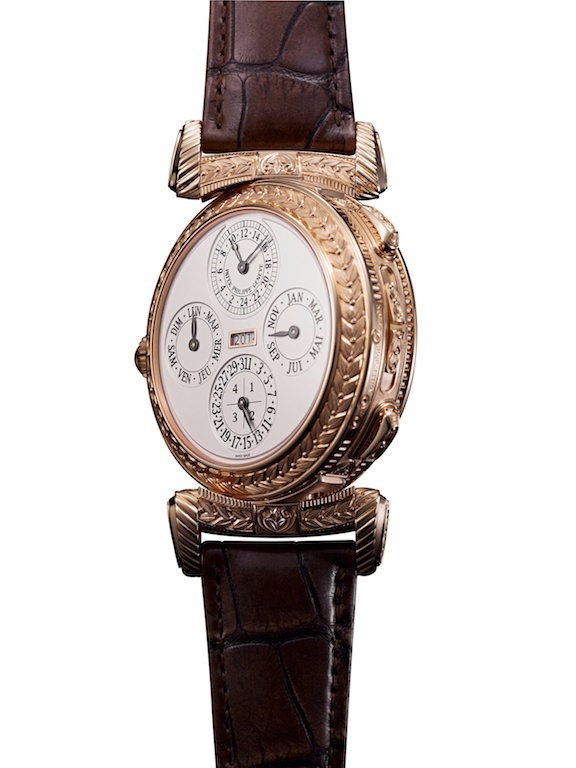 Before you get all excited, hang on, because Patek is producing only six of these with a seventh for their museum — each pegged with the price tag of CHF 2.5 million. 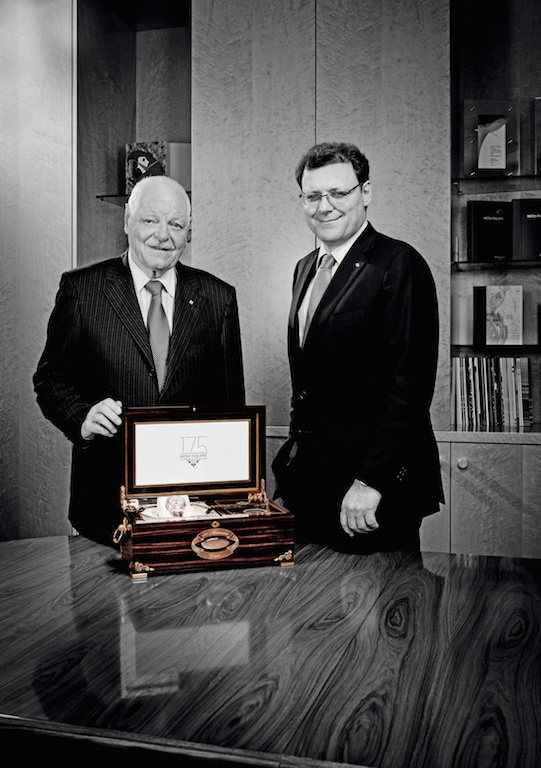 And in all likelihood, they will only go to the most significant Patek collectors on the planet. So what’s so amazing about this grande sonnerie? First of all it features three gongs and three hammers and strikes the quarters on a beautiful combination of three notes, creating a thrilling sonic aria that alternates with each quarter. Grande, petite or silent mode is selected with a switch integrated into the left side of the case. The two other pushers on the left side operate the watch’s second time zone, while the aperture next to the central pinion turns from blue to white to delineate day or night hours in the second time zone. When in alarm mode, the alarm takes precedence over all over striking functions, which are blocked. To release it, you pull the crown. The crown has three positions: the first is for winding (one direction for the two barrels for the movement, and the other direction for the two sonnerie barrels with 30 hours of power reserve in grand sonnerie mode). The second position is for the alarm setting and the third position is for the time. Barat also points out that all strike functions are isolated so that if the grande sonnerie mode is ringing and you push the minute repeater — normally a recipe for disaster in a lesser watch — here, immediately after the sonnerie strike is over, the repeater strike will happen. A small aperture on the top right of the watch turns red when your sonnerie power supply is on the wane, though with 30 hours of reserve even in grande sonnerie mode the watch has a greater power reserve than two iPhones put together. But perhaps the most notable feature of the watch is the date-striking complication –yes, the Grandmaster Chime strikes the date as well, with the repeater train taking date info from the perpetual calendar train. 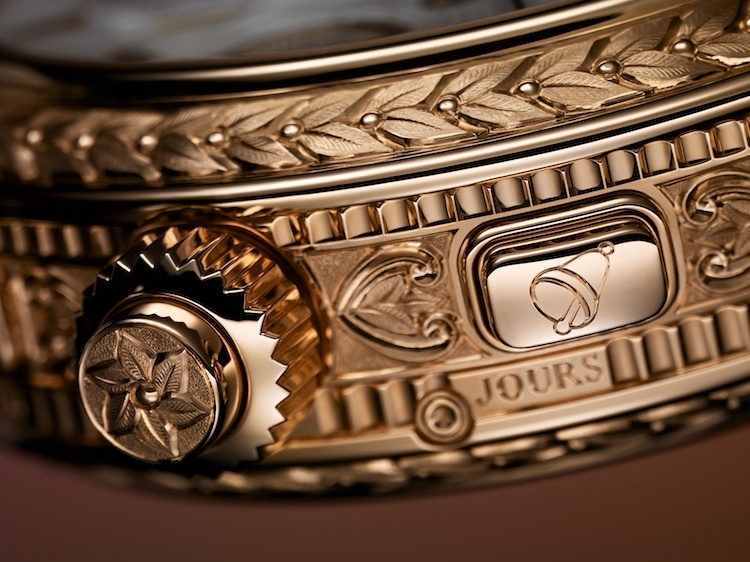 The technical aspects of this function are the subject of a patent granted to Patek Philippe. Activate the pusher at 4 o’clock and the date is sounded in a combination of low-high coupled strikes (as opposed to the high-low strike that usually marks the quarters in minute repeaters) for the digit in the tens position, followed by consecutive single strikes indicating the digit in the units position of the date. 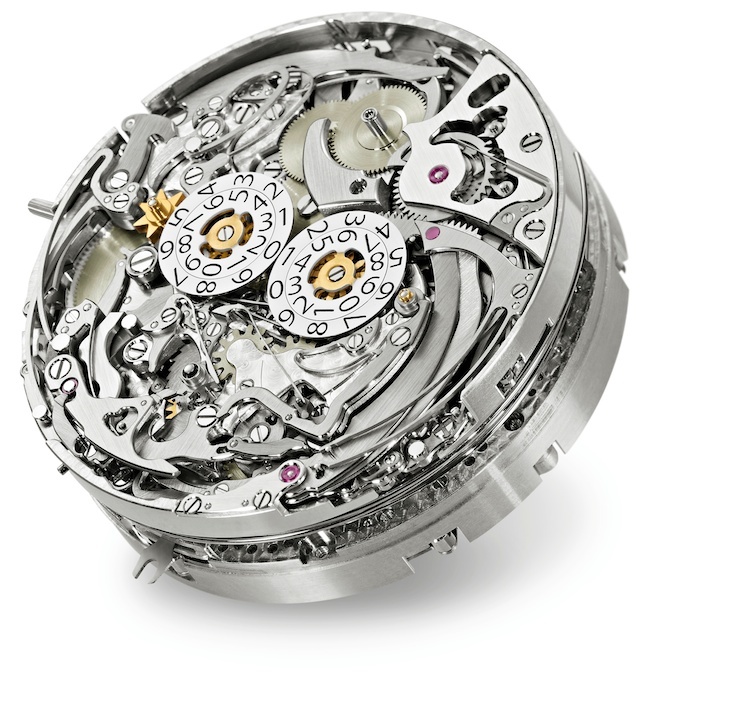 In order to link the date to the perpetual calendar, the movement –Patek Philippe calibre GS AL 36-750 QIS FUS IRM –is fitted with a snail-and-rack system for transmitting the information from the calendar system to the repeating mechanism, in addition to the snail-and-rack system from which the repeater mechanism “reads” the time. If all this isn’t enough, the watch is double faced and features a case that can actually swivel in its lugs and show off its stunning perpetual calendar second dial (with quickset back and forth adjust function for the year that is linked with the leap year indication) selected by Philippe Stern and based on a museum watch dating to 1915. As the alarm function was completely the desire of Thierry Stern, this one watch is also the living repository of the two great Stern men involved in this magnificent creation designed to showcase 175 years of accumulated mastery in the very highest levels of the art of watchmaking. 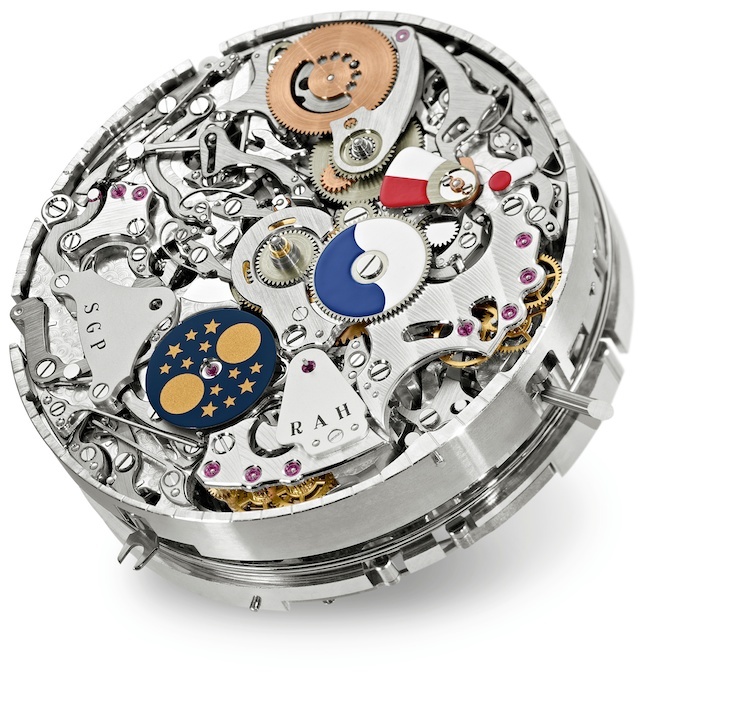 Movement: Caliber GS AL 36-750 QIS FUS IRM. Wristwatch case with rotating and latching devices in the lugs, allowing it to be turned along the axis from 12 to 6 o’clock and locked in either of 2 positions. An innovative masterpiece of micromechanical engineering (not patented): the differential between the strikework double barrels and the two strikework mechanisms for the Grande Sonnerie (incl. minute repeater and alarm) and the date repeater. It has a diameter of 7.2 mm and consists of 19 separate parts, one of which is an 11-part ball bearing with 7 balls with a diameter of 0.3 mm each. Despite its small size, it is robust enough to transmit the torque of the strikework barrels which exceeds 1700 gmm.